Please Do Not Remove It! 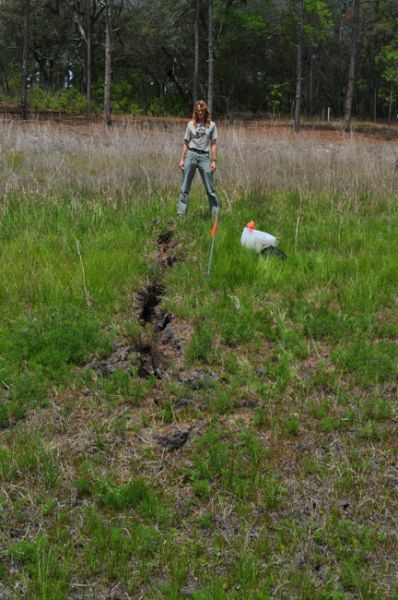 Paulette McFadden (paulette.mcfadden@dos.myflorida.com) at the Bureau of Archaeological Research (850) 245-6549 in Tallahassee, Florida. 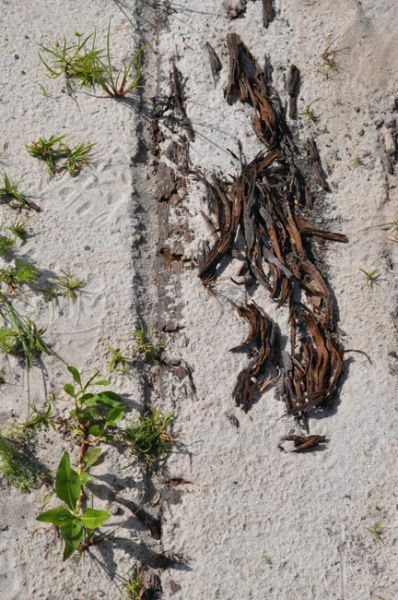 In collaboration with the Florida Division of Historical Resources, Bureau of Archaeological Research, researchers at the Florida Museum are working to record information on the many exposed dugout canoes that have been revealed in dried lakebeds and lowered waterways across Florida. Chapter 267, Florida Statute (F.S.) 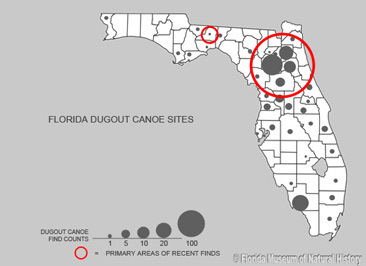 states that artifacts, including dugout canoes, located on state owned lands or sovereign submerged bottoms are the property of the state of Florida (Chapter 267, Florida Statute ). Please note, it is against the law to disturb or remove a canoe from these settings. The intent of the law is to protect and conserve these unique artifacts, like other artifacts, for current and future generations. To be a good steward of these important archaeological finds and help us obtain import information and protect these remains, please do not remove them. Either contact the above individuals or your local authorities. These important artifacts range in date from a few hundred years old to well over 6,000 years showing the significance of Florida’s long aquatic cultural heritage. 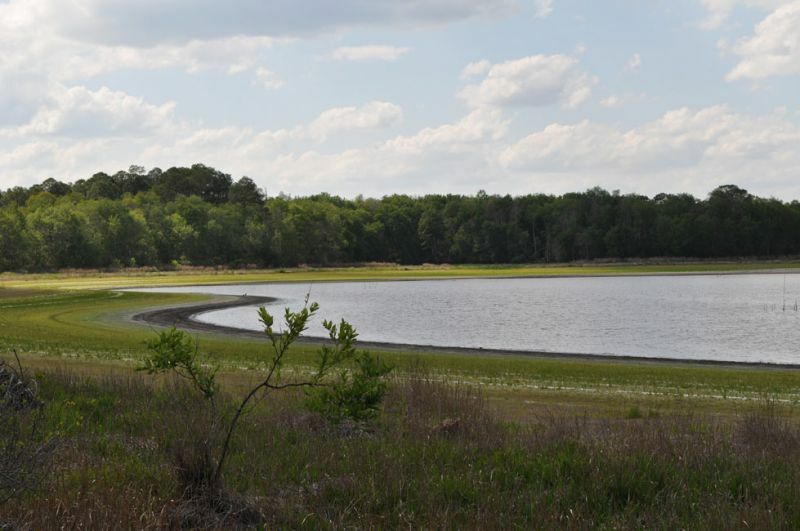 Until relatively recently (e.g., during the severe drought in 2000 when 101 canoes were located along the shore of Newnans Lake and then again in 2012) these artifacts were submerged and protected by the waterlogged beds in which they were deposited. Once exposed wood canoes are subject to rapid decay by fungus, molds, and other microbial activity as well as by light, desiccation, and human intervention. To help assist with the increasing number of canoes that have been exposed, we are actively trying to visit canoe sites when we are informed. We collect standardized data such as location, small samples and other documentation on these items to better understand cultural use as well as paleoenvironment. 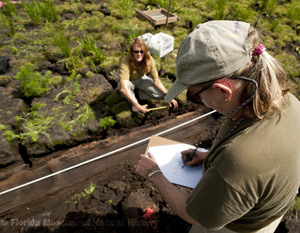 Canoes sites, like all archaeological sites, are recorded in the Florida Master Site File. To date over 235 canoe sites have been recorded constituting well over 400 individual canoes. 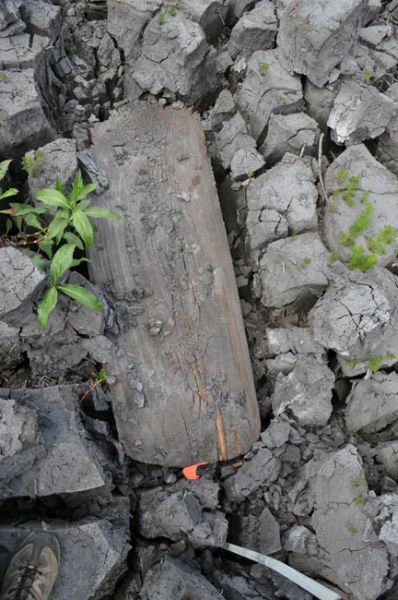 Drought and Dugout Canoe research is revealing new insights not only about the canoes, but, also, sediments, hydrology, fauna and flora impacts. What is best to protect a wet or dry canoe is to leave it in place. Moving a canoe will cause the loss of valuable information as well as jeopardize these rare and amazing artifacts. We know, however, that some have been removed from their source areas. If this is the case, then if it is wet keep it wet; if, however, the canoe is already dry, do not wet it again. Prehistoric dugout canoes while looking strong and stable are all too often extremely fragile. Ancient wood that has been submerged must be properly treated because it will begin to deteriorate once it has been exposed to air. The treatment process takes a long period of time and must be monitored during the stabilization period. Moving a canoe will cause the loss of valuable information as well as jeopardize these rare and amazing artifacts. Please contact the people noted above. As part of the canoe survey and research efforts samples are being collected, analyzed and curated. 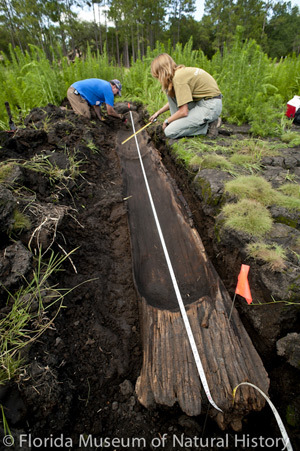 In general, the dugout canoes are left in situ. 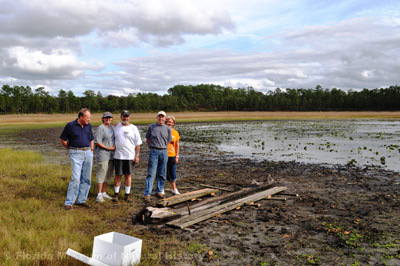 Selected dugouts are being treated and studied using new methods to preserve them and tested at the Florida Museum. 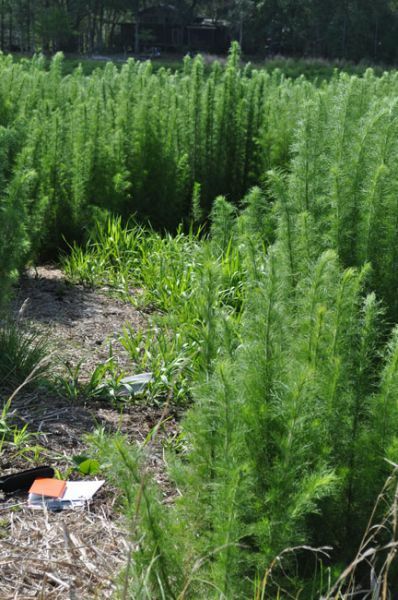 Beyond green initiatives to study the care and treatment of dugout canoes, recent research is also including efforts to potentially source these “canoe trees” origins using stable isotopes. 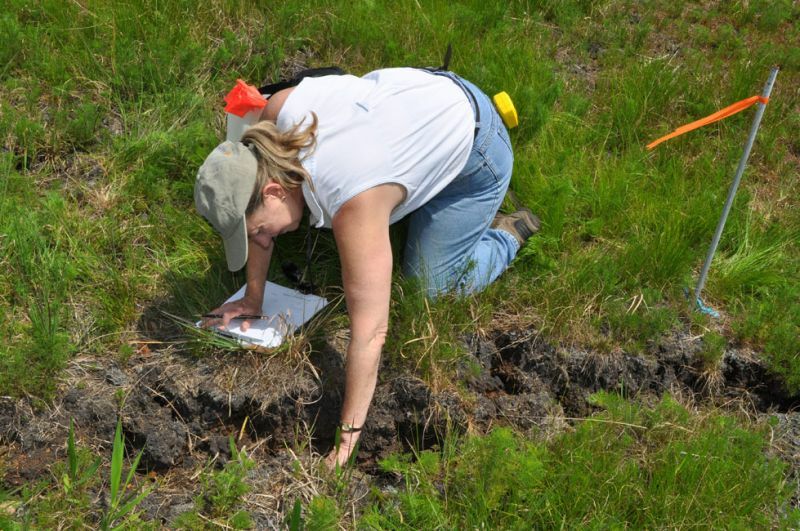 It is hoped that this almost 7000 year history of dugouts will better inform us on paleoenvironment, paleohydrology, and pre-Columbian populations’ mobility and migration in and around Florida’s ancient waterscapes and landscapes.